Born as Ville Virtanen on the 17th July 1975 in Hinnerjoki, Eura Finland, he is a DJ and record producer best known to the world under his stage name Darude. So far, he has released four albums, including “Before the Storm” (2001), and “Label This!” (2007), among others. Have you ever wondered how rich Darude is as of late 2016? According to authoritative sources, it has been estimated that Darude`s net worth is as high as $12 million, earned through his successful career in the entertainment industry. Darude took his first steps towards a musical career when he was in high school; he went to Turku Polytechnic, and started producing music utilising PC`s tracker software. His interest grew rapidly, and he started working as a DJ at school and friend`s parties, while also using more quality software for music making. While at one party, Darude played “Rude Boy” by Leila K, frequently, and as a result he got the nickname Rude Boy, which later transformed into Da Rude, and then to Darude. He then took a step forward, and started sending his demo tapes to radio stations in Finland, and soon he recorded “Sandstorm”, which he sent to his producer JS16, and he immediately signed him to his record label, 6 Inch Records. The same year “Sandstorm” was released as a single, and before long became huge international hit, propelling Darude into the music scene. In 2001, he released his first album entitled “Before the Storm”, and it was rather successful, topping the Finland chart, while it reached No, 6 on the US Dance, and No. 11 on the US Indie charts. Also, he won several awards, including Finnish Grammys in categories Best Dance / Hip-Hop Newcomer, Best Debut Album and Song of the Year. Following the release of the album and its success, as it sold more than 800,000 copies, Darude embarked on a world tour, which also improved his net worth. He returned to the studio in 2003, and the same year released his second album entitled “Rush”, which charted at No. 4 on the Finnish chart, and reached No. 11 on the US Dance chart, however, the album was less successful than his debut, and it also received poor reviews. 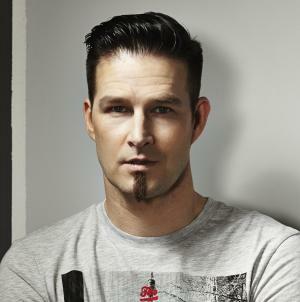 Nevertheless, Darude continued to make music, and his third album came out in 2007 entitled “Label This!”, and it continued the decline of Darude`s popularity as it failed to chart, however his singles “Tell Me” and “My Game” reached No. 1 and No. 4 respectively on the Finnish chart. After that, he started touring across the globe, and didn`t release a new album until 2015, when his fourth album came out, entitled “Moments”, which also improved his net worth. Regarding his personal life, Darude is married, however, details about his wife and any children have been deliberately shielded from the media. However, he is quite active on popular social networks, including Twitter and Facebook, on which he has a great number of fans. 1 Born on the 20 year anniversary of the opening of Disneyland Park, yet ironically enough, one of his songs (Sandstorm) is played at Six Flags Magic Mountain. Nhl 11 2010 Video Game performer: "Sandstorm"
CHIKARA: King of Trios 2009 - Night I 2009 Video performer: "Sandstorm" / writer: "Sandstorm"
Chikara: King of Trios 2008 - Night II 2008 Video performer: "Sandstorm"
Tango Kabaree 2001 arranger: "Sandstorm" / performer: "Sandstorm" / writer: "Sandstorm"
Levottomat 2000 arranger: "Sandstorm" / performer: "Sandstorm" / writer: "Sandstorm"